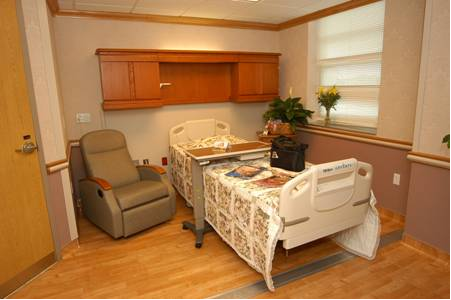 The Onslow Memorial Hospital Labor and Delivery suite consists of 10 LDRP beds and allows the laboring patient to deliver in the same room. The Labor and Delivery unit includes 2 surgical suites and a recovery room for emergency C-Section. Labor and Delivery serves as the triage area for obstetrical patients of 20 weeks gestation and greater presenting with an obstetrical emergency. With three levels of infant care and an experienced staff, Onslow Memorial Hospital is prepared for every type of birth and neonatal situation. Learn more.